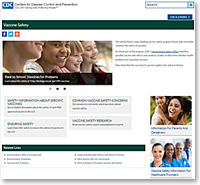 The CDC just announced the launch of a newly redesigned and improved Vaccine Safety website! Coastal Children’s Clinic is excited to announce a partnership with Reach Out & Read North Carolina. Reach Out and Read is an evidenced based program that promotes early literacy and school readiness. Starting in the next few weeks, we will be providing books at each well-child visit from 6-months though 5-years. Our doctors will also be discussing the importance and benefits of reading aloud to your child. Did you know that drowning is the second greatest cause of childhood fatalities? As the weather gets warmer, please review these water safety tips on behalf of the Community Coalition for Craven County Children. Let’s keep our children safe as possible as they have fun in the sun. Don’t forget the sunscreen!